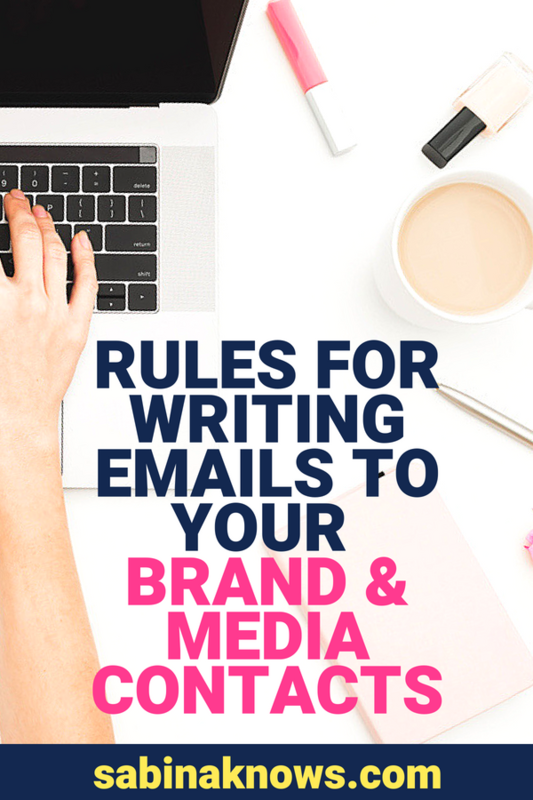 Master the Email the Press Always Answer and Begin Building Media Relationships Faster! I love complimenting people. I do! Not just because it makes them feel good, but because it makes me feel good in the process (authentic kindness is a powerful thing). I do it because in many ways it’s a highly valuable yet lost art of communication. In this day and age, it seems we’re much more likely to lodge a complaint or make an “ask” of someone than to say something rooted in praise or positivity. In fact, in many cases, it seems people are more embarrassed to share a kind word or sincere “digital high five” than they are to ask someone they barely know to do them a favor. For your business, today is the day that changes. Now, without further ado, let me welcome you to your lesson on the Praise Email, and its friends the Praise Tweet and Praise Post! Now before I explain exactly what I mean by a Praise Email, Tweet, or Post I want to quickly make my case as to why I believe they’re a necessary part of your communications work as a brand and business. Let’s begin with putting yourself in the shoes of the media: They’re busy, they’re working tirelessly on deadlines and endless producing content – yes, they’re doing actual work – while at the same time they’re fielding emails and calls from publicists, sources, and business owners like you. Are those emails all helpful, encouraging, or supportive. Of course not. They tend to be streams of pitches, requests, corrections, complaints, you name it! It’s rare that they’re receiving emails thanking them for their work, their coverage, or mentioning how what they (the press) are doing for a living is making an impact. In fact, I’ll bet that some of you reading this right now don’t even read the outlets you’re pitching regularly, you’re simply writing emails with contacts you’ve sourced or purchased, and you haven’t spent any time opening the magazines, clicking through the blogs, or watching the television shows where you want to see yourself, your product, or your expertise featured. Sound familiar? Be honest with yourself. Because if this is your current MO, it needs to change for the sake of your publicity success and your ability to grow long-term and authentic media relationships – because they both go hand in hand! At it’s most basic level, it’s human nature. People help others they like. People answer emails from names that are familiar to them or subject lines that sound inviting. Simply peppering the media with requests and press releases isn’t going to do that, but getting to know their work (yes, actually reading and/or watching it) and then engaging with them about it, that is a different story. That type of email can often be the seed from which a powerful relationship with the press can be nurtured and grown. Just in case you’re tempted to think I’m exaggerating the importance of emails that are not all about you and what you want or need, why don’t you listen to the words of one of my favorite media all-stars, the one and only Aly Walanksy, whose writing can be found everywhere from The Today Show to Reader’s Digest, SheKnows.com to PopSugar. 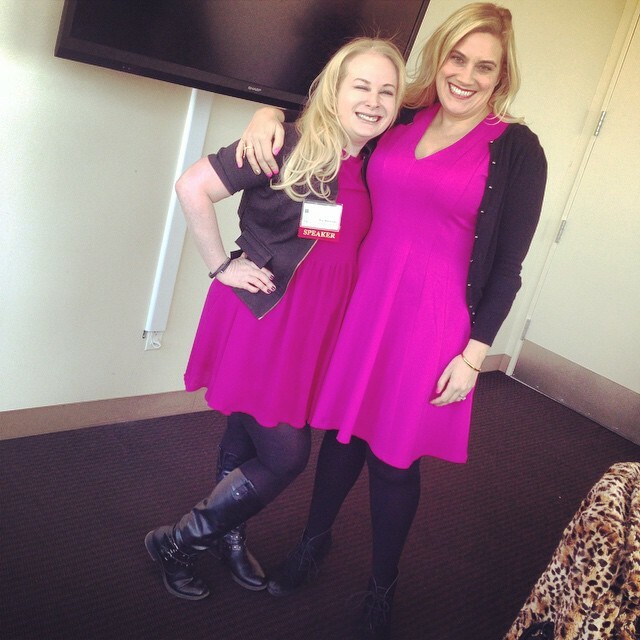 *You can get a visual of the two of us to your left, and no, we didn’t plan on showing up for media panels in matching outfits. Great minds think alike. I won’t belabor the point anymore because I know you get it. You need to invest in relationships with the press, and you need to be a student and consumer of their work to do that. With that said, let us head back to the Praise Email (and tweets, and posts). These quick and easy (and painless and stress-free) forms of communication tick both boxes. They are also much less stressful than writing an actual pitch. They are a form of outreach that is ask-less. They are “all praise no pitch”, and they are specific in terms of the praise while asking for nothing in return. These aren’t emails in which you add a request or plug for yourself at the end, they are simply a genuine compliment about the content they created that moved you, interested you, got you thinking, and so forth. Because you can’t create a compliment out of thin air without actually seeing it, you’re “forced” into doing just that. See what I did there? I found yet another way to coax you into taking the time to get to know the outlets you want to be in, and just trust me, you’ll love doing it, because like I said at the beginning of this post: when you say something positive and complimentary to someone, you get the gift of all the positive feels (and more) in return. It’s a win-win! REVIEW YOUR MEDIA OUTREACH LIST (which, if you attend my classes and follow my lessons, is kept nice and neatly in your PR Home Base) and begin by choosing a few editors, bloggers or producers with whom you’ll start using this type of outreach. Don’t choose too many or you’ll get overwhelmed and remember, nothing has to be done all at once. Step by step, you can add more outlets and media contacts to your Praise Email to-do list, reaching out to different people as the mood strikes you. Not every story or article will illicit a praise response, and that’s okay, because we’re all about authenticity, right? READ AND WATCH THE CONTENT PRODUCED BY YOUR MEDIA TARGETS. By that I mean: Read their blog posts, actually open the magazines you want to be featured in, and watch television programs that you dream of your business being featured on in the future. PR HACK: One quick and easy way to stay on top of this is to actually follow the feeds (Facebook, Twitter) of the media outlets you’re targeting as they share their content constantly, and to follow (on Twitter and Instagram) the social media accounts of the specific people you’re hoping to develop a relationship with. Let the content which you seek be delivered right into your feeds! Supplement that action with monthly magazine reading and research sessions and you’re on a roll! PRAISE AND ENGAGE WITH CONTENT THAT GETS YOUR ATTENTION: Connect with them about what interests you, stands-out, or beckons you to engage with and about it. What I DO NOT want you to do is write an empty, unspecific, simply-written-for-self-serving-reasons compliment. What I DO want you to do is to be a genuine and authentic human, and to connect with the people you want to work with about the work they do in their blogs, magazines, and TV shows – the very same media outlets in which you want to be seen and heard! You can do this via an email, or you can share this same type of praise via social media (and give them some public love and buzz). PSST – Not sure how to find their email addresses? READ THIS! REMEMBER THIS RULE: When sending a “Praise Email” you do not make a U-turn within the email and start talking about your business or asking them for something in return, this is simply you engaging with them about their work. This is just as easily done on Twitter, Instagram, or InstaStory. Share the content they create that you love with your own social media feeds. Explain why you liked it, what connected with you in their articles, blogs, or television segments. No need to write an essay, just email or post a quick yet meaningful message. BE AN ONGOING STUDENT OF YOUR TARGET MEDIA: Of course, it’s impossible to do this without following, reading, and watching their content, so YES, I’m once again reminding you to become a student and fan of the media outlets you want to be seen in – but friends, that’s how the public relations world works, not to mention the fact that it will make your quest for publicity exponentially more effective, efficient, and enjoyable! The Indigo Girls once sang, “The hardest to learn is the least complicated” and we could all learn from that lyric. Don’t overly complicate your public relations work by avoiding the actions that lead to long-term media relationships, because these relationships are the very things that will help you successfully and consistently land buzz and business building publicity. Study the media outlets and the content they create. Create positive relationships with members of the press who work hard doing their job while fielding our emails, tweets, and phone calls. Be strategic, be creative, be smart, and most importantly, be good, and good will come to you and your business! I’d love to hear in the comments below how you build authentic relationships with the media? Have you engaged in some version of praise emails or tweets? What other ways have you connected with members of the press?